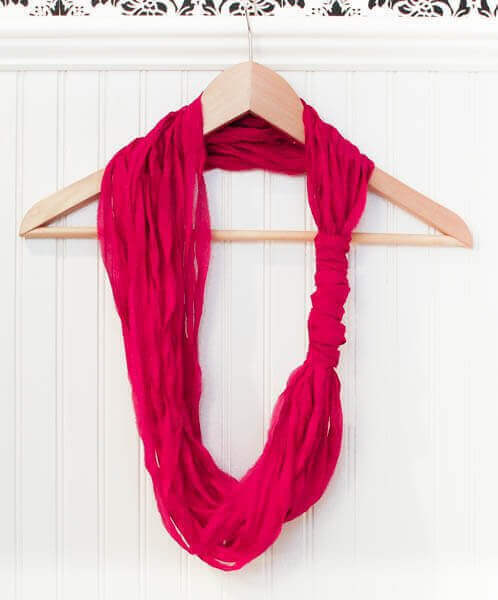 This pretty loop scarf is sooooo easy! Seriously, if you can make a circle, you’re pretty much done. 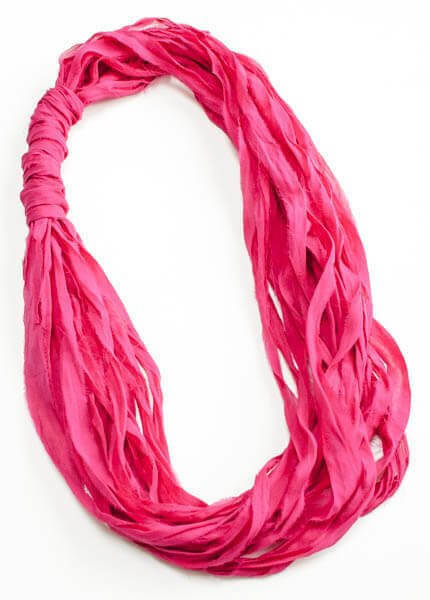 And best of all, loop scarves are so lightweight you can wear them all year long! You can make this scarf with a chunky yarn or fabric yarn (you can even make your own fabric yarn like I show in this tutorial here!). For this one, I used LB Collection® Silk Chiffon Ribbon Yarn. The only other thing you need is a pair of scissors. Ready to get started? Just started unwinding your yarn and forming it into a circle. The circumference of your circle is really dependent on your personal style and how long you like your scarves to be. Keep wrapping the yarn around until you like the fullness. 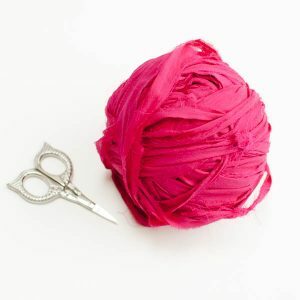 Cut the yarn and knot your two ends together. Working over the area you just knotted, take the yarn and start wrapping it through the center of your scarf and around the outside. Keep wrapping until you cover a section of about 3 to 4 in. wide or as you desire. Again, knot the two ends together and tuck them inside the area you just wrapped. Violà! You’re done. Easy peasy, right?! That’s clever, love your designs, it’s cold damp winter here near Cape Town, I shall make a few of those, nice gifts! Thank you. Your scarf is beautiful and I LOVE the color!